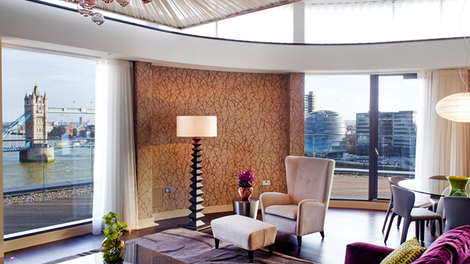 Situated in some of the most iconic areas of London, Cheval Residences provides elegant and luxurious accommodation. The eight all-apartment Residences are Cheval Thorney Court, Cheval Gloucester Park, Cheval Hyde Park Gate, Cheval Knightsbridge, Cheval Calico House, Cheval Phoenix House, Cheval Harrington Court and Cheval Three Quays, each with their own character and style. With a variety of individual and multi-bedroomed apartments (including some stunning penthouses), Cheval Residences provides guests with all the amenities they might expect from a luxury accommodation brand, including 24-hour security and concierge service, but with the added advantages of independency and privacy. Available from just one night to 3 months or more, the apartments have large, well-equipped kitchens, en-suite bathrooms, hi-speed Wi-Fi and access to fitness facilities. However, as well as providing flexible accommodation options to productions, the Residences also make fantastic film locations in their own right; the beautifully stylish apartments themselves, but also the stunning views over many of London’s landmarks, including the Thames, Tower of London, Hyde Park and Tower Bridge.